4-H Shooting Sports projects are successful when adults volunteer to work with youth and when youth are given the opportunity to develop safe shooting skills and a better understanding of wildlife ecology. To serve as a 4-H Shooting Sports Leader, volunteers must be enrolled in 4-H, complete their county’s Youth Protection process, be at least 21 years old and successfully complete at least one state-level 4-H Shooting Sports Certification Workshop. Certifications Workshops are designed to teach adults how to conduct safe, supervised, shooting experiences for 4-H members enrolled in the project. 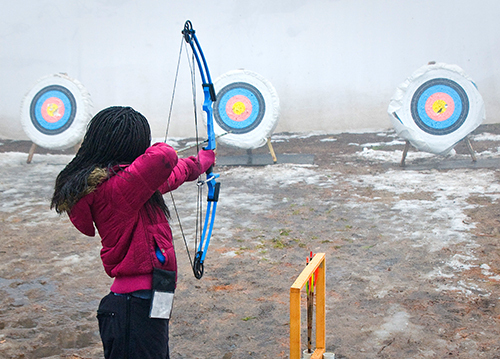 Adults who are looking for an opportunity to mentor youth and be a positive role model in safely handling archery equipment or firearms are encouraged to enroll in these certification workshops. Guidelines for Wisconsin 4-H Competitive Shoots. Rules posted for specific shoots will supersede these rules. This form is to be completed annually to show possession of County 4-H Equipment or for transfer of such equipment from a certified 4-H Shooting Sports leader to another certified 4-H Shooting Sports leader.